Washing, waxing, detailing, polishing and restoration services available. 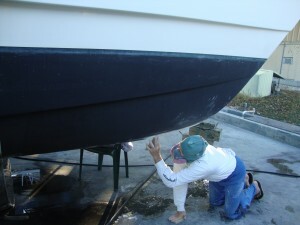 Envision your boat, shiny and like-new, just like the day you first brought her home….now let’s see how close we can get to bringing her back to that condition . We aim to use the least caustic chemicals in cleaning and superior quality waxes and protectants for beauty that lasts. We can cure stubborn stains, rust, oxidation and more. We can repair blisters and broken glass and chipped gel coat. 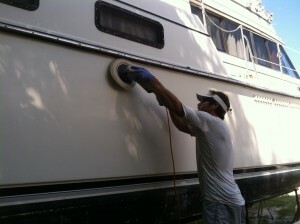 Experienced color matching to hide unsightly repairs. 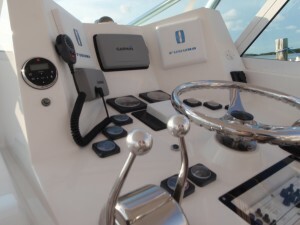 If your gel coat is too far gone we offer awlgrip and other marine painting. Please call or email us for any prices not listed above.